Maharashtra is placed on the western side of India and is home to several types of bird species including local and migratory birds. The bird sanctuaries in Maharashtra are tourist hotspots for birdwatchers and nature lovers. Palm-fringed beaches, free-flowing rivers, mountains and islands characterise the western part of India. The incredible natural beauty of the state of Maharashtra along with the World Heritage Sites, cosmopolitan cultures and temples keep drawing more and more tourists to this part of the world. 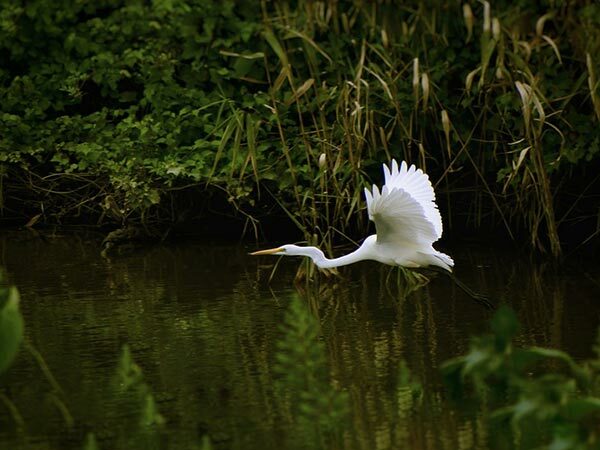 The bird sanctuaries in Maharashtra are some of the lush-green environments in the region oozing with flora and fauna. These bird sanctuaries are home to many beautiful species of birds like the parakeet, wagtail flycatcher, grey jungle fowl, the gorgeous peacock, cuckoo, bulbul, drongo, the great Indian bustard, purple sunbirds and the shama. The great Indian bustard is one of the endangered species and is found only in the Ahmednagar and Solapur districts. It's mostly known for its fast speed and royal gait. We have featured a small list of the beautiful bird sanctuaries in Maharashtra that would engulf you in the beauty of nature. Placed in Panvel Taluka of the Raigad district on the outskirts of Mumbai, near Karjat and Matheran, the Karnala Bird Sanctuary is spread over an area of 446 square kilometres and houses several resident bird species including local and migratory birds. The area is protected as the sanctuary houses several endangered species like the butterflies and the Malabar trogon. The key species found here are Malabar grey hornbill, Nilgiri wood pigeon, grey-fronted green pigeon, etc. This sanctuary is a treat for nature lovers and birdwatchers due to the incredible variety of birds in the region. Located in the Solapur region of Maharashtra, the Great Indian Bustard Sanctuary was established in 1979 and oversees an area of 122,200 hectares (approximately 472 square miles). This sanctuary falls under the biogeographic region named Deccan Peninsula. As per researchers, this park has not created sufficient amenities for the preservation of the endangered great Indian bustard in Maharashtra. This sanctuary houses several species of birds, both local and migratory. Placed in the Satara district of Maharashtra near the borders of Vaduj region, the Mayani Bird Sanctuary is built on an old dam built by the British regime. The water from the dam is used for irrigation and farming and for nurturing the birds. There are approximately 600 migratory birds as per the records calculated in 2015. Some of the key birds housed in this sanctuary are black ibis, painted stork, kingfisher, stork, flamingo and common spoonbill. There are also several hydrophytic species, like atolia sps, that grow in the shallow waters and serve as the primary source of food for the aquatic birds. The other alternative food sources are water insects, crabs and small fish in the waters. Housed in the Niphad tehsil of the Nashik district, Nandur Madhmeshwar Bird Sanctuary shares the neighbourhood with the Nandur Madhmeshwar Dam, a meeting point for Kadwa and Godavari rivers. The Bombay Natural History Society, the forest department of the government of Maharashtra and the World Wildlife Fund played vital roles together to bring this sanctuary into reality. Spread over an area of 10,000 hectares, the core area covers only 1765 hectares. The sanctuary has a protected area featuring birds like the grey hornbill, peafowl, heron, buzzard, egret and much more. Amongst the migratory birds, the most popular ones include flamingo, pintail, glossy ibis and white stork. One of the recent additions to the list of bird sanctuaries in Maharashtra, the Thane Creek Flamingo Wildlife Sanctuary in Mumbai is one of the least explored destinations by birdwatchers and nature lovers. The Flamingo Sanctuary is an important bird area declared by the government of Maharashtra. There is a significant biodiversity in the region along with an incredible amount of flamingos and other migratory birds, such as ibis, Eurasian curlew, ducks, osprey, falcons and marsh harrier. There are boat tours arranged for tourists who wish to explore the sanctuary and capture the stunning photographic opportunities.